There will be only one (last) round of the Regular Season in La Liga. The fans could enjoy quite many interesting games in the last round. The round ended with change at the leadership position, favorites losing the games and games ending by tiny margin. Here is the last round review presented by ESL. Third defeat of league's leader La Union (4-3) against third ranked Estudiantes C. (5-3) 81-75 was the most important game of the last round. It ended at the same time the four-game winning streak of La Union. It was a key game for the top position in the league. Estudiantes C. made 16-of-21 free shots (76.2 percent) during the game. 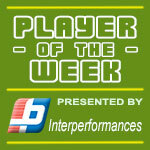 American forward Daviyon Draper (201-94, college: FIU) orchestrated the victory by scoring 25 points and 9 rebounds. Venezuelan swingman Pedro Chourio (186-90, agency: Pro Sports) contributed with 19 points and 8 rebounds for the winners. American forward John Flowers (200-89, college: W.Virginia, agency: Octagon Europe) answered with 26 points and 7 rebounds for La Union. Estudiantes C. keeps a position of league leader, which they share with Gimnasia. La Union at the other side dropped to the second place with three games lost. They share the position with 3 other teams. They were replaced at the leadership position by San Lorenzo. La Union will play next round against strong Comunicaciones trying to make it back to the top of the standings. Estudiantes C. will have a break next round, and it should allow them to practice more before next game. The game had a very big importance for second-ranked Penarol as it allowed them to take a leadership position. Penarol defeated 3rd placed Weber Bahia in Mar del Plata 86-79. American forward DuVaughn Maxwell (201-91, college: Hampton) stepped up with a double-double by scoring 13 points and 10 rebounds for the winners and Damian Tintorelli chipped in 14 points and 6 rebounds (on 7-of-8 shooting from the field). Penarol's coach Leonardo Gutierrez allowed to play the deep bench players saving starting five for next games. point guard Fermin Thygesen (187-98) responded with 19 points and 5 assists. As mentioned above they took over a top position. Weber Bahia at the other side keeps the third place with four games lost. They share the position with Quilmes MP. Weber Bahia will play next round against Argentino trying to get back on the winning streak. Penarol will try to continue on its current victory against fourth ranked Quilmes MP. It will be extra interesting game as Quilmes MP is their local rival from Mar del Plata. Undefeated San Lorenzo (6-1) recorded its first loss in Buenos Aires on Monday night. Visitors were defeated by third ranked Obras Basket (4-3) 85-76. It ended at the same time the six-game winning streak of San Lorenzo. It may be a crucial game in the contest for the top position in the league. Eric Anderson nailed 27 points and 8 rebounds for the winning side. Dar Tucker came up with 15 points and 6 rebounds for San Lorenzo in the defeat. Obras Basket moved-up to second place, which they share with 3 other teams. Defending champion San Lorenzo still keeps top position with one game lost. Obras Basket's supporters look forward to an exciting derby game next round, where their team will face at home their local rival from Buenos Aires Boca Juniors. A very interesting game took place in Rio Gallegos. It ended with only three-point home defeat of 5th ranked Hispano Am. (1-7) to third ranked Boca Juniors (3-3) 77-74 on Monday evening. The best player for the winners was Jasiel Rivero who scored 30 points. Hispano Am. 's coach Marcelo Richotti rotated ten players in this game, but that didn't help. Boca Juniors maintains third place with 3-3 record having just three points less than leader San Lorenzo, which they share with Ferrocarril. Hispano Am. at the other side keeps the fifth position with seven games lost. Boca Juniors' supporters look forward to an exciting derby game next round, where their team will travel locally in Buenos Aires to the arena Obras Basket. Very important is a road loss of third ranked Weber Bahia (3-4) against fifth ranked Quilmes MP (3-4) on Wednesday night. Visiting Weber Bahia was defeated by Quilmes MP in a tough game in Mar del Plata 72-76. Lucas Ortiz orchestrated the victory by scoring 24 points, 5 rebounds and 6 assists. Weber Bahia's coach Sebastian Ginobili tried various players' combinations and tested in total eleven players, but that didn't help to avoid defeat in this game. Quilmes MP moved-up to third place, which they share with defeated Weber Bahia. Quilmes MP's supporters look forward to an exciting derby game next round, where their team will face at home their local rival from Mar del Plata Penarol. There were no big surprises in other games of round 5: Obras Basket beat Hispano Am. on the road 76-60. Gimnasia destroyed Argentino on its own court 92-55. Comunicaciones managed to outperform Regatas C. in Mercedes 83-76. Atenas recorded a loss to Olimpico LB at home 80-86. Olimpico LB was crushed by Instituto on the opponent's court 85-52. The most impressive performance of 5th round was 16 points and 7 rebounds by Eloy Vargas of Gimnasia. No shocking result in a game when third ranked Obras Basket (4-3) beat 5th ranked Hispano Am. (1-7) in Rio Gallegos 76-60 on Thursday. Obras Basket outrebounded Hispano Am. 44-27 including a 37-23 advantage in defensive rebounds. American forward Maurice Kemp (203-91, college: E.Carolina, agency: Duran International) orchestrated the victory by scoring 17 points and 5 rebounds. His fellow American import power forward Eric Anderson (204-93, college: New Haven, agency: Duran International) contributed with 8 points and 12 rebounds for the winners. American Devon Scott (206-94, college: Philander Smith) answered with 7 points and 5 rebounds and Daniel Hure (200-85) added 10 points in the effort for Hispano Am.Both coaches used bench players which allowed the starters a little rest for the next games. Obras Basket moved-up to second place, which they share with 3 other teams. Loser Hispano Am. keeps the fifth position with seven games lost. Obras Basket's supporters look forward to an exciting derby game next round, where their team will face at home their local rival from Buenos Aires Boca Juniors. A very interesting game took place in Rio Gallegos. It ended with only three-point home defeat of 5th ranked Hispano Am. (1-7) to third ranked Boca Juniors (3-3) 77-74 on Monday evening. Boca Juniors dominated down low during the game scoring 48 of its points in the paint compared to Hispano Am. 's 24. 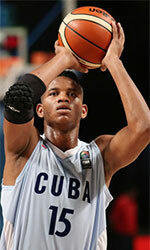 The best player for the winners was Cuban center Jasiel Rivero (204-93, agency: Pro Sports) who scored 30 points. The former international swingman Adrian Boccia (195-82) chipped in 22 points and 5 rebounds. American guard Justin Hurtt (194-88, college: Tulsa, agency: HMS) produced 17 points and 5 rebounds and forward Patricio Tabarez (195-91) added 14 points and 5 rebounds respectively for the hosts. Four Hispano Am. players scored in double figures. Hispano Am. 's coach Marcelo Richotti rotated ten players in this game, but that didn't help. Boca Juniors maintains third place with 3-3 record having just three points less than leader San Lorenzo, which they share with Ferrocarril. Hispano Am. at the other side keeps the fifth position with seven games lost. Boca Juniors' supporters look forward to an exciting derby game next round, where their team will travel locally in Buenos Aires to the arena Obras Basket. Undefeated San Lorenzo (6-1) recorded its first loss in Buenos Aires on Monday night. Visitors were defeated by third ranked Obras Basket (4-3) 85-76. It ended at the same time the six-game winning streak of San Lorenzo. It may be a crucial game in the contest for the top position in the league. Obras Basket had a 32-21 advantage in offensive rebounds. American power forward Eric Anderson (204-93, college: New Haven, agency: Duran International) nailed 27 points and 8 rebounds for the winning side and his fellow American import forward Maurice Kemp (203-91, college: E.Carolina, agency: Duran International) accounted for 16 points, 8 rebounds and 5 assists. American-Jordanian Dar Tucker (193-88, college: De Paul) came up with 15 points and 6 rebounds and Uruguayan center Mathias Calfani (204-92, agency: Pro Sports) added 11 points and 9 rebounds respectively for San Lorenzo in the defeat. Both teams had four players each who scored in double figures. Obras Basket moved-up to second place, which they share with 3 other teams. Defending champion San Lorenzo still keeps top position with one game lost. Obras Basket's supporters look forward to an exciting derby game next round, where their team will face at home their local rival from Buenos Aires Boca Juniors. The game had a very big importance for second-ranked Penarol as it allowed them to take a leadership position. Penarol defeated 3rd placed Weber Bahia in Mar del Plata 86-79. Penarol made 16-of-21 charity shots (76.2 percent) during the game. Penarol outrebounded Weber Bahia 40-28 including a 32-21 advantage in defensive rebounds. American forward DuVaughn Maxwell (201-91, college: Hampton) stepped up with a double-double by scoring 13 points and 10 rebounds for the winners and naturalized Italian center Damian Tintorelli (204-81) chipped in 14 points and 6 rebounds (on 7-of-8 shooting from the field). Penarol's coach Leonardo Gutierrez allowed to play the deep bench players saving starting five for next games. Point guard Fermin Thygesen (187-98) responded with 19 points and 5 assists and Martin Fernandez (197-97) scored 17 points. Both teams had four players each who scored in double figures. As mentioned above they took over a top position. Weber Bahia at the other side keeps the third place with four games lost. They share the position with Quilmes MP. Weber Bahia will play next round against Argentino trying to get back on the winning streak. Penarol will try to continue on its current victory against fourth ranked Quilmes MP. It will be extra interesting game as Quilmes MP is their local rival from Mar del Plata. Rather expected game when 4th placed Argentino (2-5) was smashed by second ranked Gimnasia (5-3) in Comodoro Rivadavia 92-55 on Wednesday. Gimnasia dominated down low during the game scoring 52 of its points in the paint compared to Argentino's 22. They outrebounded Argentino 44-32 including 32 on the defensive glass. Gimnasia looked well-organized offensively handing out 21 assists comparing to just 8 passes made by Argentino's players. Dominican center Eloy Vargas (211-88, college: Kentucky, agency: Duran International) orchestrated the victory by scoring 16 points and 7 rebounds. 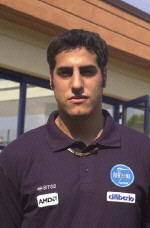 The former international forward Franco Giorgetti (201-92) contributed with 14 points and 4 assists for the winners. Four Gimnasia players scored in double figures. Point guard Gaston Garcia (187-98) answered with 12 points and 5 rebounds and American center Raheem Bowman (211-90, college: St.Thomas, FL) added 10 points and 7 rebounds in the effort for Argentino. The winner was already known earlier in the game, so both coaches allowed to play the bench players saving starting five for next games. Gimnasia keeps a position of league leader, which they share with Estudiantes C. Loser Argentino keeps the fourth place with five games lost. Gimnasia will have a break next round. Argentino will play at home against Weber Bahia (#3) and it may be a tough game between close rivals. Very important is a road loss of third ranked Weber Bahia (3-4) against fifth ranked Quilmes MP (3-4) on Wednesday night. Visiting Weber Bahia was defeated by Quilmes MP in a tough game in Mar del Plata 72-76. Quilmes MP looked well-organized offensively handing out 21 assists. Guard Lucas Ortiz (190-87) orchestrated the victory by scoring 24 points, 5 rebounds and 6 assists. Point guard Luciano Tantos (185-88) contributed with 9 points, 10 rebounds and 4 assists for the winners. Federico Elias answered with 22 points (on 8-of-10 shooting from the field) and Panamanian Jamaal Levy (206-83, college: Wake Forest) added 12 points, 10 rebounds and 4 blocks in the effort for Weber Bahia. Four Weber Bahia players scored in double figures. Weber Bahia's coach Sebastian Ginobili tried various players' combinations and tested in total eleven players, but that didn't help to avoid defeat in this game. Quilmes MP moved-up to third place, which they share with defeated Weber Bahia. Quilmes MP's supporters look forward to an exciting derby game next round, where their team will face at home their local rival from Mar del Plata Penarol. We could consider it a predictable result in the game between close teams when fifth ranked Comunicaciones (2-4) won against on the road 4th placed Regatas Corrientes (2-5) 83-76 on Wednesday. Regatas Corrientes was plagued by 26 personal fouls down the stretch. American forward Novar Gadson (201-89, college: Rider) orchestrated the victory with a double-double by scoring 22 points, 10 rebounds and 4 blocks. The former international point guard Luis Cequeira (180-85) contributed with 13 points, 5 rebounds and 9 assists for the winners. The former international forward Fabian Ramirez (193-90) answered with a double-double by scoring 11 points and 11 rebounds and point guard Jonatan Treise (185-85) added 15 points in the effort for Regatas Corrientes. Five Regatas Corrientes players scored in double figures. Both coaches used bench players which allowed the starters a little rest for the next games. Comunicaciones moved-up to fourth place which they share with defeated Regatas Corrientes. Regatas Corrientes lost third consecutive game. They keep the fourth position with five games lost. Comunicaciones will face higher ranked La Union (#3) in Formosa in the next round and it will be quite challenging to get another victory. Regatas Corrientes' supporters look forward to an exciting derby game next round, where their team will face at home their local rival from Corrientes San Martin Corrientes. There was a minor upset when second-ranked Atenas (4-3) lost to fifth ranked Olimpico de La Banda (2-5) in Cordoba 80-86 on Thursday. Olimpico de La Banda made 19-of-24 free shots (79.2 percent) during the game. Spanish-Brazilian center Caio Silveira-Torres (211-87, agency: Interperformances) orchestrated the victory by scoring 19 points and 7 rebounds. American-FYR Macedonian forward Jeremiah Massey (202-82, college: Kansas St.) contributed with 17 points and 7 rebounds for the winners. Four Olimpico de La Banda players scored in double figures. The former international Nicolas Romano (200-87) answered with 26 points, 8 rebounds and 4 assists and American guard Larry OBannon (192-83, college: Louisville, agency: Interperformances) added 13 points and 4 assists in the effort for Atenas. Olimpico de La Banda moved-up to fourth place, which they share with 3 other teams. Loser Atenas keeps the second position with three games lost. Olimpico de La Banda will face league's second-placed Quimsa in Santiado del Estero in the next round and it will be quite challenging to get another victory. Atenas' supporters look forward to an exciting derby game next round, where their team will travel locally in Cordoba to the arena Instituto. Third defeat of league's leader La Union (4-3) against third ranked Estudiantes C. (5-3) 81-75 was the most important game of the last round. It ended at the same time the four-game winning streak of La Union. It was a key game for the top position in the league. Estudiantes C. made 16-of-21 free shots (76.2 percent) during the game. American forward Daviyon Draper (201-94, college: FIU) orchestrated the victory by scoring 25 points and 9 rebounds. Venezuelan swingman Pedro Chourio (186-90, agency: Pro Sports) contributed with 19 points and 8 rebounds for the winners. Four Estudiantes C. players scored in double figures. American forward John Flowers (200-89, college: W.Virginia, agency: Octagon Europe) answered with 26 points and 7 rebounds and center Jose-Ignacio Alessio (203-87) added 12 points and 12 rebounds in the effort for La Union. Estudiantes C. keeps a position of league leader, which they share with Gimnasia. La Union at the other side dropped to the second place with three games lost. They share the position with 3 other teams. They were replaced at the leadership position by San Lorenzo. La Union will play next round against strong Comunicaciones trying to make it back to the top of the standings. Estudiantes C. will have a break next round, and it should allow them to practice more before next game. Everything went according to plan when first ranked Instituto (5-1) outplayed 5th ranked Olimpico de La Banda (2-5) in Cordoba 85-52 on Tuesday. Instituto had a 31-14 advantage in offensive rebounds. They shot the lights out from three sinking 17 long-distance shots on high 51.5 percentage. Instituto looked well-organized offensively handing out 22 assists comparing to just 9 passes made by Olimpico de La Banda's players. The former international point guard Santiago Scala (186-91) orchestrated the victory by scoring 9 points and 8 assists. The former international swingman Luciano Gonzalez (190-90) contributed with 12 points for the winners. Four Instituto players scored in double figures. The former international point guard Maximiliano Stanic (178-78) answered with 9 points and 5 assists and Spanish-Brazilian center Caio Silveira-Torres (211-87, agency: Interperformances) added 8 points and 5 rebounds in the effort for Olimpico de La Banda. The winner was already known earlier in the game, so both coaches allowed to play the bench players saving starting five for next games. Instituto have a solid series of three victories in a row. They maintain first place with 5-1 record. Olimpico de La Banda lost third consecutive game. They dropped to the fourth position with five games lost. Instituto's supporters look forward to an exciting derby game next round, where their team will face at home their local rival from Cordoba Atenas.